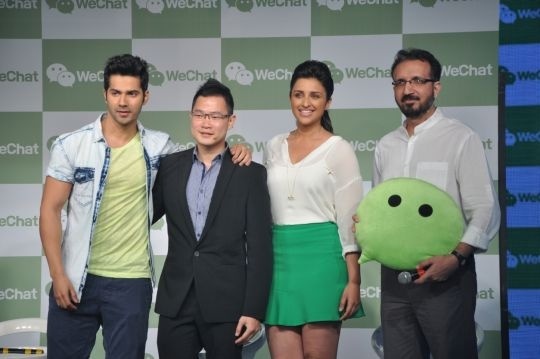 WeChat formally entered into the Indian market. They already started the TV commercial. As I reported before, there is a certain number of WeChat users in India, but WeChat formally entered into the Indian market to expand its users a few days ago. Tencent held an opening event in Mumbai, and they announced that a lot of Indian companies already made the official accounts on WeChat for their marketing activity. Tencent nominated Mr. Varun Dhawan and Ms. Parineeti Chopra as the image character of WeChat in India, and they appeared on the above commercial, and also attended the opening event. 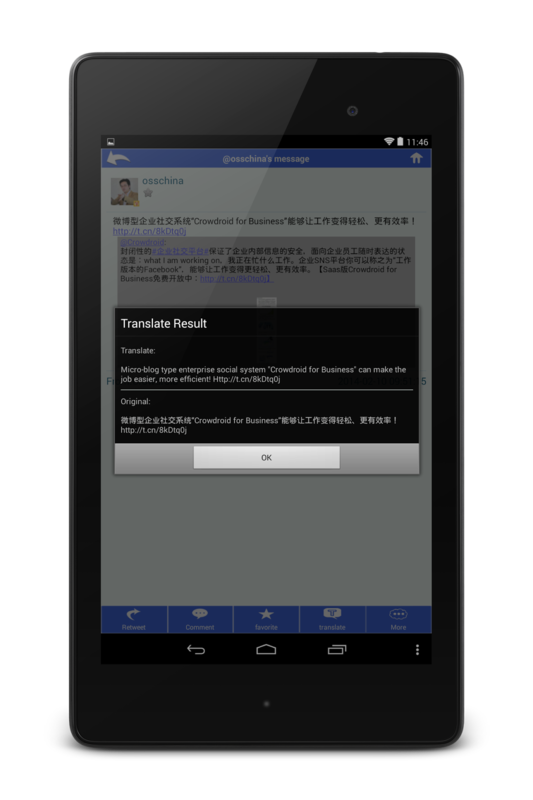 As they referred in that commercial, it seems that Tencent will mainly promote the voice chat feature "Hold-to-Talk" in India. 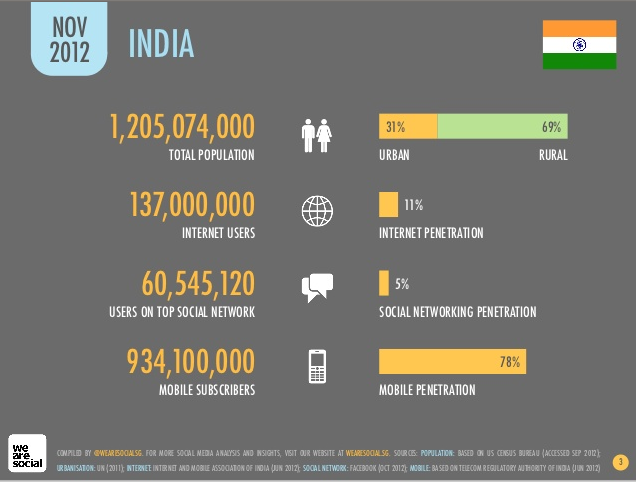 According to the presentation by WeAreSocial, social media users in India were 60,545,120 people as of November 2011. Its penetration was only 5% now, but its growth rate is 52% in a year. 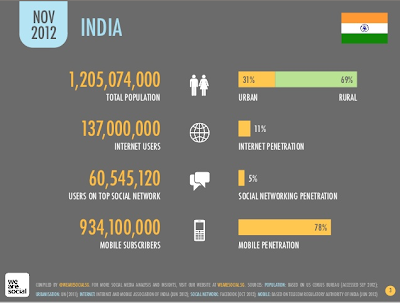 And according to the other source, the number of mobile users in India is now 862.62 million people, but the rate of 3G user is only 10%. But in a sense, it can be said that a low penetration is a big chance for frontiers. WeChat already totally have almost 400 million users and 50 million overseas users now. India may become the key place for them.